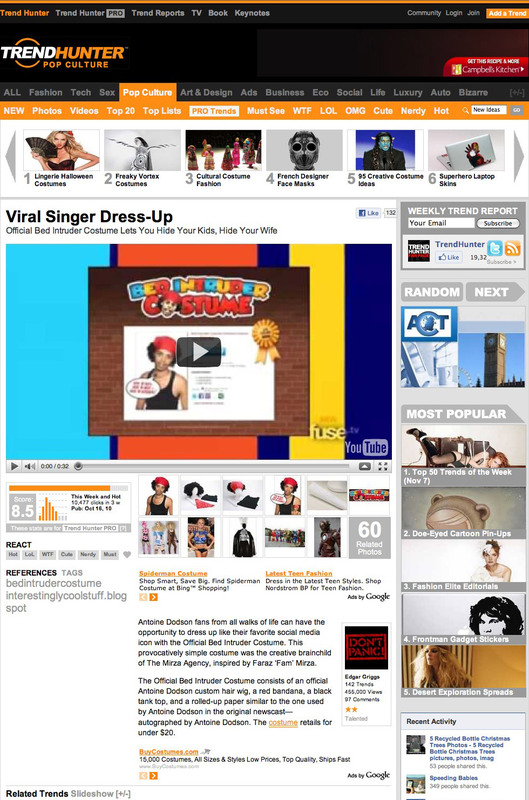 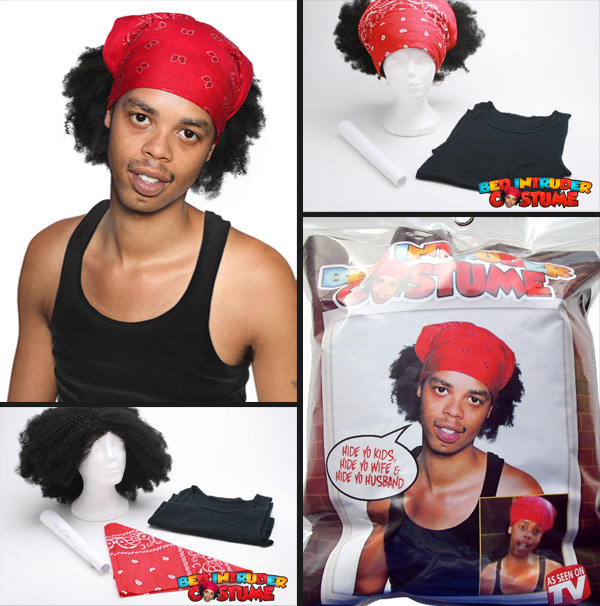 To produce a product which would further enhance the Antoine Dodson brand as well as appeal to his viral fans online. 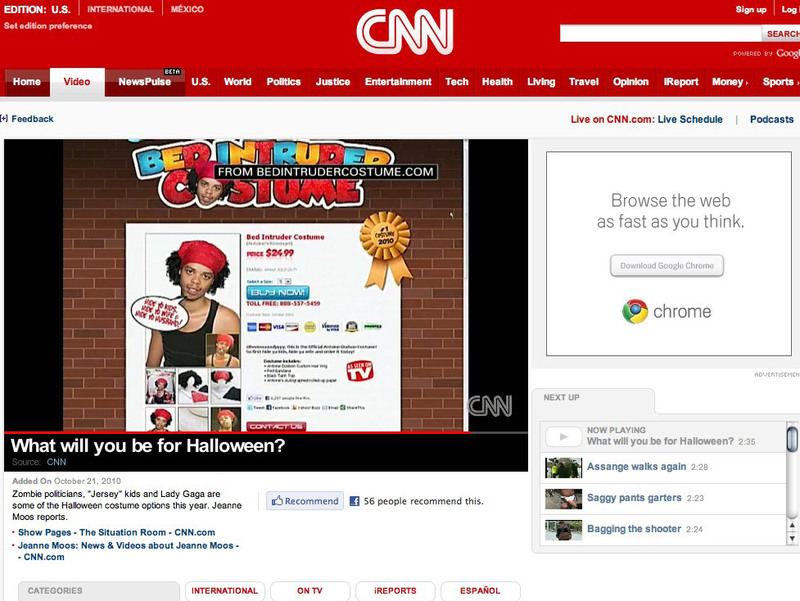 A product which was created and was voted the #1 of 2010. 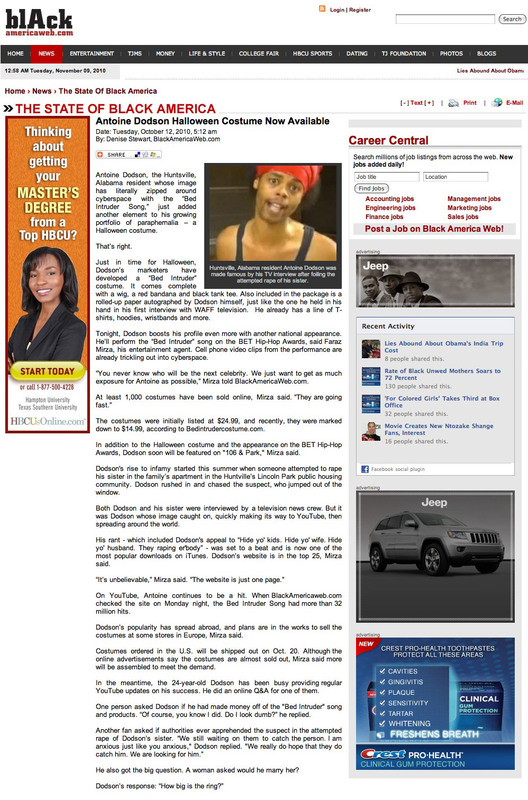 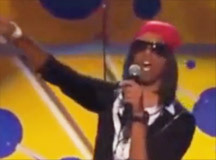 Since Antoine Dodson catapulted into internet stardom, the viral sensation has been featured on CNN, The Today Show and NBC. 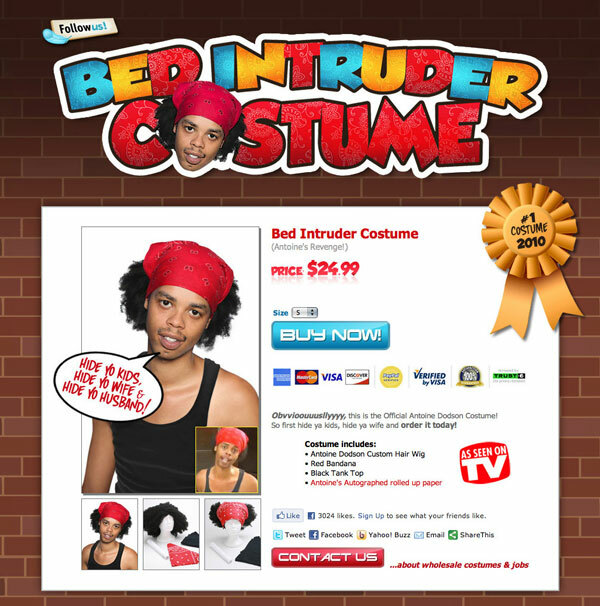 In anticipation for the Halloween season he partned up with The Mirza Agency to manufacture and market his official Bed Intruder Costume. 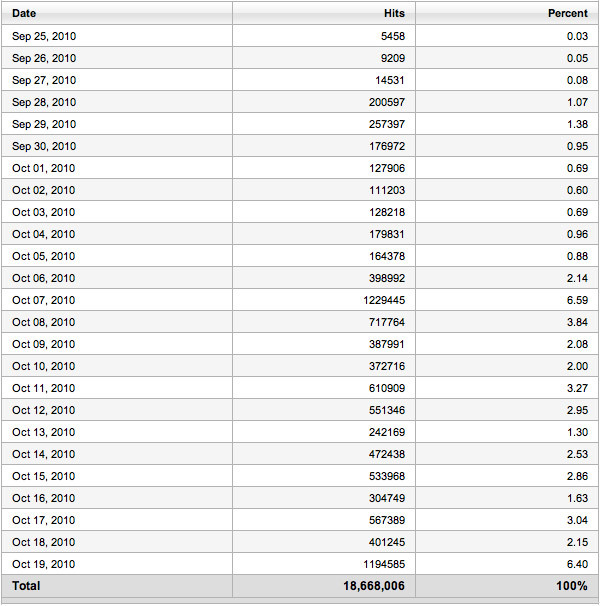 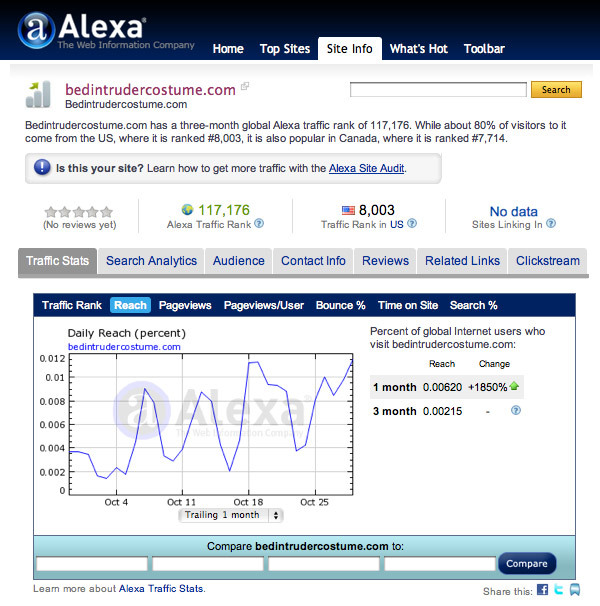 According to Alexa.com - in less than four weeks of the launch of the costume’s retail web outlet, the website has over 18 million hits was ranked in the Top 10,000 websites in the USA, Canada, & Europe. 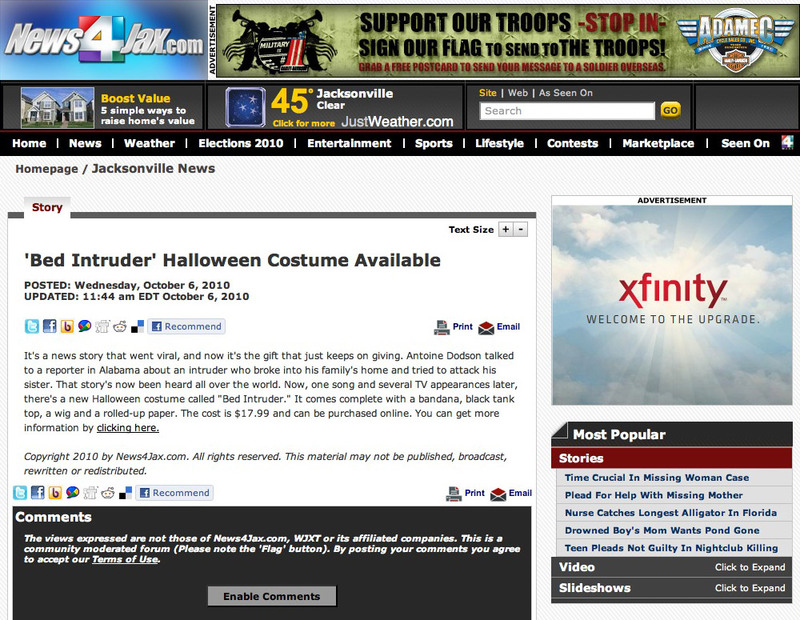 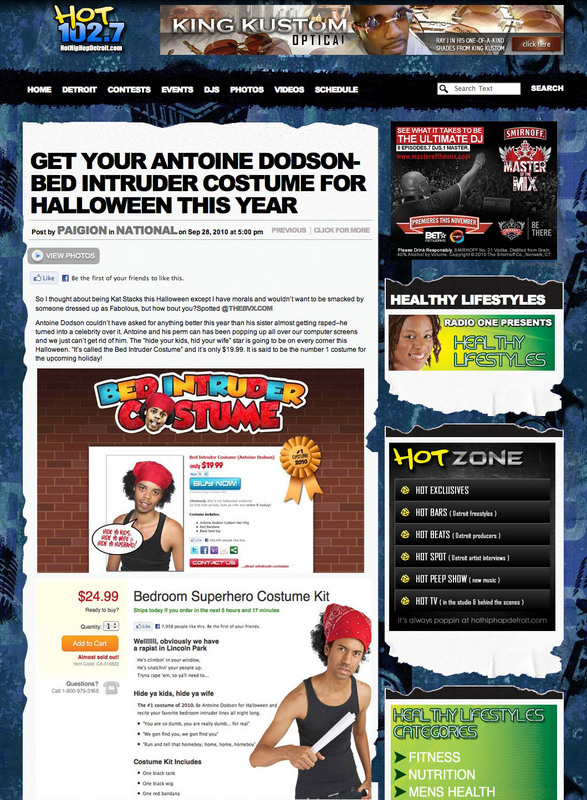 The costume was voted #1 costume of 2010 and was featured on major TV networks such as CNN & TMZ, Fox News, and went on to be the most successful product of the Antoine Dodson brand. 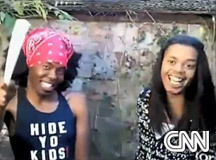 The Bed Intruder on CNN! 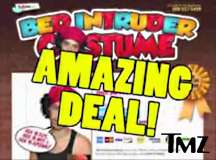 The Bed Intruder on TMZ! 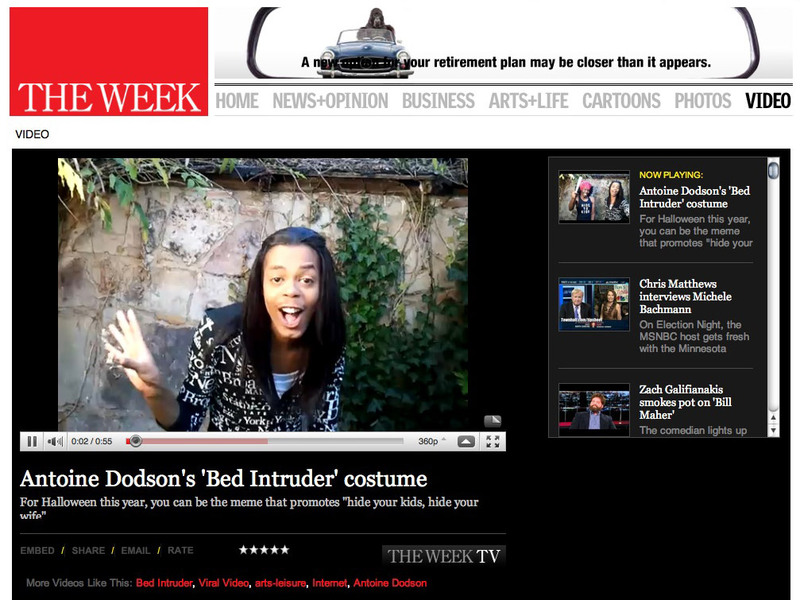 The Bed Intruder on Fuse TV!